Green cleaning is an eco-friendly way of cleaning that avoids the use of harsh and potentially dangerous chemicals and cleaning methods. There are a number of reasons why your business should consider turning to a green cleaning service to meet your need for professional commercial cleaning. Traditionally, office cleaning services use commercial cleaning products and tools that may contain chemicals that can be harmful to you and your employees. Although on the surface they appeared to clean, the chemicals from those cleaning products often result in poor indoor air quality within your office building. Traditional cleaners that are not green cleaners are also the potential cause of problems such as irritation of the eyes, skin or lungs, and they could eventually lead to diseases or conditions. The severities of these risks are dependent upon the type of building or workplace and how long staff occupies the building. For example, people who work in hospitals are exposed to these cleaning chemicals for longer durations of time because they tend to work longer hours. In addition to improving the health of employees, a green cleaning service creates a healthier environment for customers as well. By using a commercial cleaning service that specializes in green cleaning, you are not only providing a healthy place of employment, but you are also contributing to the productivity of your staff by reducing their risk of getting sick. Green cleaners that provide healthy and environmentally friendly office cleaning services greatly reduce allergy symptoms and reactions to cleaning chemicals. Green professional commercial cleaning products and supplies also won’t put an additional strain on your budget. When choosing a green cleaning service, you should keep several things in mind. Naturally, they should be a service that does a thorough job in cleaning your business. They should also have clear “green” policies in place. 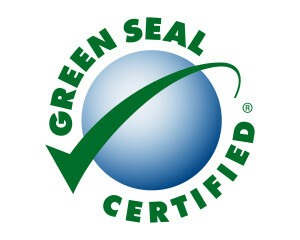 Green cleaning supplies should not suffer when it comes to quality and nor should the cleanliness of your office. Additionally, using a janitorial service that has gone green should not increase your cost of hiring a commercial cleaning service. All information provided is provided for information purposes only and does not constitute a legal contract between Northeast Commercial Cleaning and any person or entity unless otherwise specified. Information is subject to change without prior notice. Although every reasonable effort is made to present current and accurate information, Up Marketing Inc makes no guarantees of any kind. Content of the Website was provided by Northeast Commercial Cleaning.